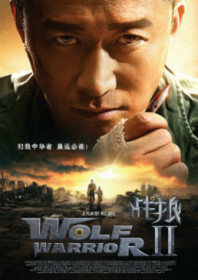 The first Wolf Warrior was a passionate, jingoistic film which resembled a recruitment tool for the Chinese military. It also showed first-time director Jacky Wu Jing to be perfectly capable of dealing with large budgets, even if his film was completely lacking in character and plot. This sequel is a similarly patriotic act of machismo which takes the fight to a fictitious part of Africa, where it quickly lapses into total confusion and chaos. It paints the picture of a nation ravished by civil war, poverty and disease, and constantly makes reference to Africa as a country not a continent, as if these issues are emblematic of one of the largest and most diverse land masses on the planet. 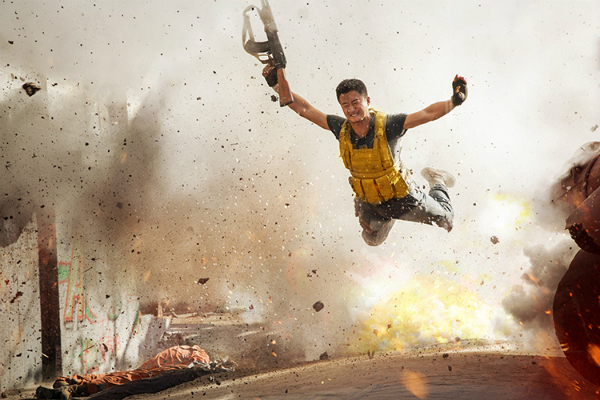 The made-up African nation is referred to as Sunkoojia, where a civil war breaks out involving rebel forces who attempt to overthrow the government with the backing of western mercenaries – much like Scott Adkins‘ team in the first film. Leng Feng (Jacky Wu) has now relocated to Sunkoojia for some R&R after he is thrown out of the PLA for killing a guy. A state of emergency is called and the Chinese navy swoop in to remove their remaining citizens. But, for reasons that later become clear, the mercenaries have their sights set on a makeshift Chinese-run hospital, and with the UN refusing to allow troops into the region, the Chinese send in Leng instead. And for good reason: he’s an indestructible one-man army. He uses kung fu underwater, smashes through shantytowns, dodges missiles, saves orphans, does hand-break turns in a tank, and beats up the western imperialists at the heart of the coup. At one point, he even contracts the film’s fictitious version of ebola (called “lamanla”), only to be cured overnight. There is literally no stopping this guy; which would be fine, if only the over-the-top action was laced with a sense of fun. Instead, every spectacle is burdened by a weightless poignancy. 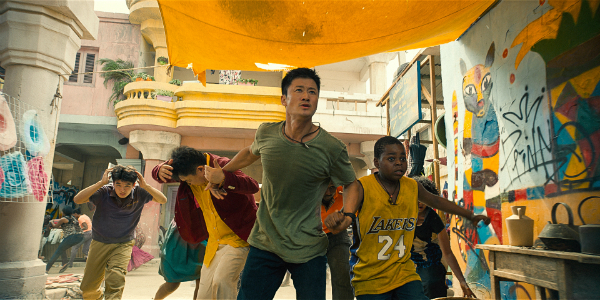 None of the characters are given space to develop; particularly Leng, who apparently harbours a burning desire to avenge the death of his former girlfriend from the previous film, although the relationship is never fully explored. Still, you don’t have to wait too long between explosions. It is never knowingly unkind or malicious, but it is lazily broad and a tremendously dumb film. Out now in selected theatres in North America via Well Go USA and The H Collective, and from 4 August 2017 in the UK via Cine Asia and CMC Pictures. Images courtesy of Well Go USA.